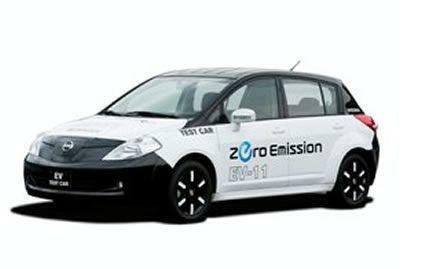 Nissan takes global warming seriously and unveils its new electric car with zero emissions of carbon dioxide-based platform and inspired by the EV model Tiida. The engine is a Li-Ion battery which develops 80kW or 109CP and a torque of 280Nm. Impressive, huh? Braking system to refresh the battery performance has added another 160 km to the autonomy of the car initially. Inside there is a monitor that shows you how many kilometers you until you download the full battery if the car will reach destination loaded on the existing navigation and recharging stations available on the route. Nissan has developed, also a sophisticated IT system for the Nissan Tiida to power, which will connect vehicle occupants to a central database with comprehensive technical support 24 / 7. Nissan plans to introduce a street version of the EV prototype in 2010. The final design was presented on 2nd of August at the headquarters of Nissan and the car not look like a Tiida. Nissan’s efforts to develop electric vehicles were initially known by launching 100% electric concept: Nissan EV-02.